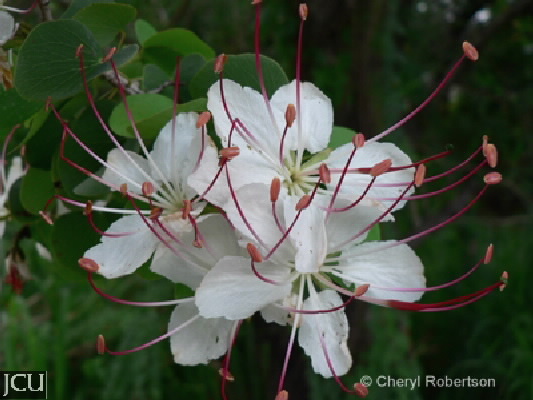 Lysiphyllum hookeri is also known as Bauhinia hookeri, it is a native species, semi-deciduous. Leaflets are paired, flowers with white petals and the upper portion of the long stamens is red. Pod is flat up to 22 cm long and 4.5 cm wide. Quite common along some of the watercourses on the Townsville campus.